Beginning in an “undertaking establishment,” as an unstaffed deposit station in 1910 the branch continued to move, to a shoe store, a frame shack on Kings Highway and other homes until 1954, when it opened in its own building on its present site. 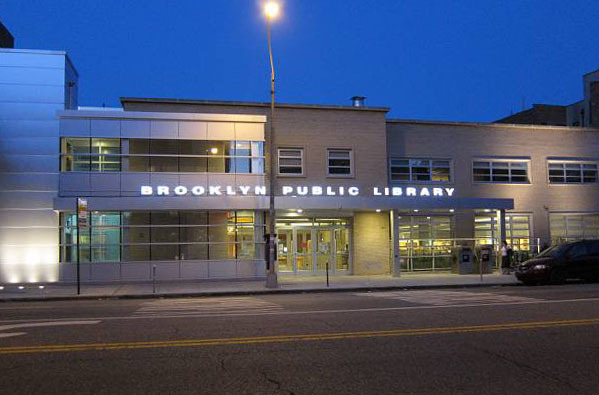 Kings Highway is the first branch library built in Brooklyn by the City of New York. After a renovation completed in 2009, Kings Highway opened with expanded space, including a basement reading room. This room is a favorite quiet area for study and wi-fi usage. In 2013, a Passport Office opened in the library.